At JJ Ryan Undertakers we take pride in the quality of our hearse vehicles. Our fleet includes a state of the art Binz hearse with passenger accomodation for 2 people and a beautiful curved glass finish. For funerals in Nenagh town we take a direct route through the town centre from our premises to the cemetery or church. 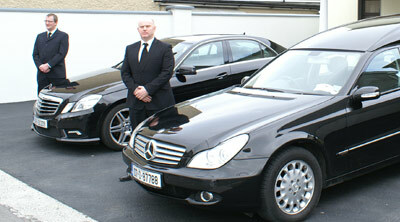 We have 2 high quality vehicles available for transportation of the mourning parties. These include a Mercedes E Class with room for 3 people and a Vauxhall funeral vehicle that can accomodate a further 3 adult passengers. 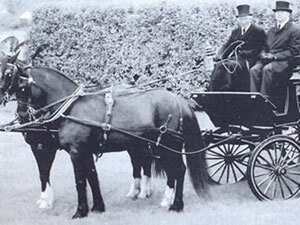 For the equestrian enthusiast, or those who are looking for that special feel to their funeral cortege, we offer a horse-drawn carriage service, complete with carriage men in full attire.